We offer valuable information on caring for your Bird and choosing a pet that is right for you. 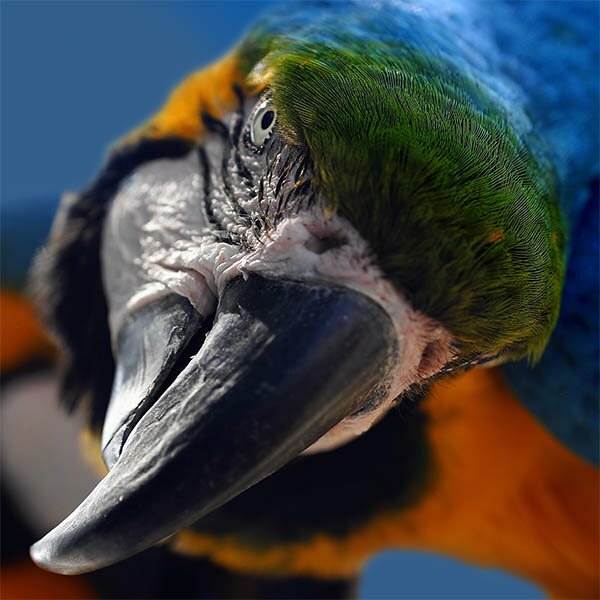 We have a wide selection of products for Macaws, Cockatoos, Parakeets, Cockatiels, Parrots, Conures and more. We offer all the products you will need to meet your pet’s four basic needs. Ladders – In nature, birds stand on a variety of surfaces. Ladders provide for foot exercise and climbing. Swings – Provide exercise and alternate perch sites. Toys – Birds are naturally intelligent and inquisitive animals. Toys are necessary to provide mental stimulation. We recommend 3 to 6 per bird to rotate and prevent boredom. Natural fiber toys are great for single birds, mirrors are not. Treat Sticks – Birds forage for their food naturally. Treat sticks provide an alternate food location, where the pet must work to remove food…this is a natural behavior. Extra Seed Cups – Provides an alternate food location, and encourages foraging. Seed Guard – Keeps seed inside the cage, prevents mess. Hooded Seed Cup – Reduces seed throwing and mess. 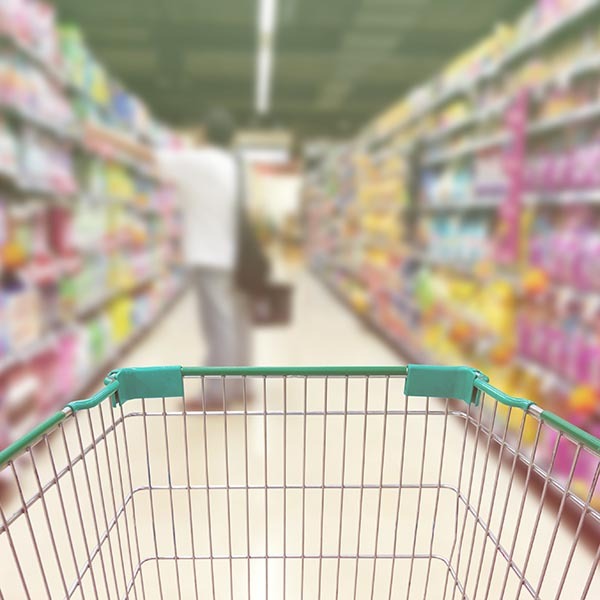 Cage Litter – Allows for spot cleaning of soiled areas and the ease of daily cleaning promotes a cleaner environment. Bird Bath – Birds are naturally clean animals and will bathe daily if they have a bird bath. Plumage Conditioner – Reduces dander, shines feathers and stimulates preening. Bird Protector – Preventing mites and lice is much easier than treating an infestation. They can enter the home from outside through an open window, or from clothing or other pets. Perch Scraper – Wet wood can harbor bacteria. Perch scrapers clean wooden perches. Book – Includes training information, breed information and instructions for ongoing care. Cage Cleaners – Safely and effectively cleaning the cage is essential to the long term health and well being of your pet bird. Cage – The cage must be large enough to exercise their wings without hitting the sides. Correct bar spacing and strength is also important. Correct placement in the home is essential to providing a safe environment for the bird. Playpen – Birds are social animals and need to spend time with the “flock.” A playpen provides a safe and convenient way for your pet to join the family throughout the home. It will also allow for mental stimulation. Cage Stand – Keeps bird out of cool drafts, away from other pets. Cage Cover – Allows proper rest and is quieting and calming to the bird. Additional Perches – A variety of surfaces to exercise feet is important. Staple Diet – Be sure to provide the proper food for your small animal’s age and eating habits. Provides basic nutrition. Assorted Treats – Provides nutritional variety and, when added to a separate seed cup, will meet the need to forage. High Protein Pellet – Non-seed nutritional variety. Spray Millet – A natural food item and a must for young, weaning, and stressed birds. It is easy for weaning birds to eat. 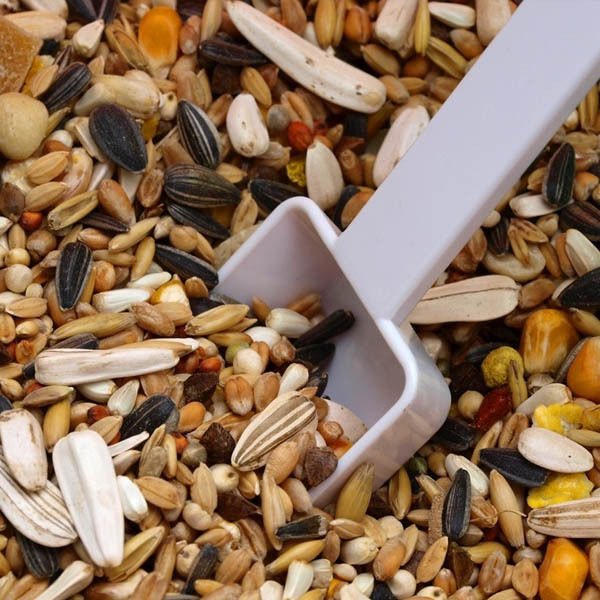 Grit/Gravel – Ingested by birds to help grind food in their gizzard. Stress Aid – Very important during environmental changes to maintain health (Ornabac). Will help replace naturally occurring intestinal bacteria. Cuttlebone/Mineral Block – Calcium and iodine source, important to skeletal growth, maintenance and keeping beaks trim. Vitamins – Just like with children, it is important to provide vitamins to help ensure proper nutrition. Powdered vitamins are the most effective. Petland Montgomery https://www.petlandmontgomery.com Petland Pets Makes Life Better!